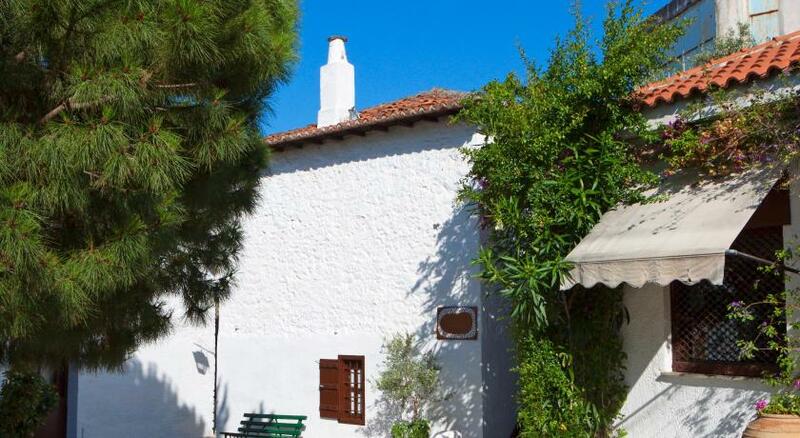 Lock in a great price for Central Guest House Skiathos – rated 8.3 by recent guests! Central location as the name suggests, but yet very quiet. Nice, big and very clean room. We met quite a few of the staff members and were all very nice and helpful. There's a beach within walking distance! Restaurants, supermarkets, cafes and other shops are on the doorstep. Very happy! We are couple with kid so we need a big room with kitchen. Our room was very comfortable. Renovated room and bathroom. Big kitchen you can cook easy. Big balcony for all of us. Pleasure staff. Great location, happy and helpful staff, clean and big room, free parking, fast internet. The location was exactly what we were looking for, a few steps from the Old Port and all its bars and shops. The hotel offers a parking which is located 100 mt away. The room was cleaned every day and it was clean and tidy. 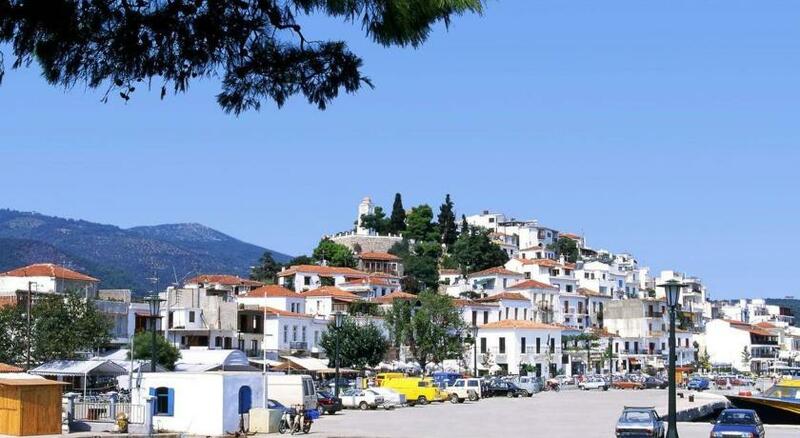 The hosts gave us really good tips about going around the island and town of Skiathos. They gave me another pillow when asked for it as I had a neck problem and the first one was too soft for me and they also found my after-sun lotion I forgot after checking out. They were also really kind to keep our luggages after we checked out till we take our ferry. The staff were really welcoming and friendly and the room was really nice with a great location! Best location if you want to be in the heart of the city. Our room was very big, amazingly clean and very quiet. Staff is accessible at all times, which we didn't expect as these are rented apartments, and not a hotel. They are very friendly and knowledgeable (in terms of suggestions if you need any). The price was unbeatable as well and included air con, linen and towels. Nice cafes very close if you want to have coffee or breakfast. Lovely friendly owners. Clean big room. Free parking. Central Guest House Skiathos is in Skiathos Town, 650 feet from the port and just 150 feet from restaurants and bars. Surrounded by a fragrant garden, the family-run property offers accommodations with free Wi-Fi and a private balcony. Offering mountain and inland views, the air-conditioned rooms and studios of Central include simple wood furnishings. Each unit comes with a TV, a telephone and a fridge, while some also include a kitchenette with dining area. The private bathroom has a shower or bathtub. Skiathos National Airport is one mile from Central Guesthouse Skiathos. The staff at the front desk can give information on famous beaches, such as Banana Beach 8 miles away and the sandy Koukounaries Beach 9 miles from the property. Car rental services are provided. When would you like to stay at Central Guest House Skiathos? Offering mountain and inland views from its balcony, this air-conditioned room offers free Wi-Fi. Featuring a kitchenette with fridge and dining area, this air-conditioned studio opens to a balcony offering mountain and inland views. Free Wi-Fi is available. In the heart of Skiathos island 200m. away from the port, 50m. away from the commercial main street and 5 minutes on feet from the nightlife of Skiathos is located the Central Guest House. All double rooms are fully equipped with air conditioning, TV, fridge and private bathroom and the studios for 3 or 4 persons have fully equipped kitchen. We give special emphasis on every day cleanliness. On the top floor there is roof garden, where you can enjoy the view, drinking and relaxing. Our goal is to provide our guests with a comfortable, enjoyable and pleasant stay with us. House Rules Central Guest House Skiathos takes special requests – add in the next step! Central Guest House Skiathos accepts these cards and reserves the right to temporarily hold an amount prior to arrival. Please inform Central Guest House Skiathos of your expected arrival time in advance. You can use the Special Requests box when booking, or contact the property directly using the contact details in your confirmation. The bed was very unconfortable, we highly suggest to change the mattress. A/C filters should have been replaced or cleaned as the air stinked when AC was on. The only thing I didn't quite like was the fact that it was on the street, so a bit noisy at night and we had to sleep at night with the door closed and the air con open. The sheets on the bed were not that clean and had a smell. We were travelling with our 1-year-old son and were given a tea-pot to the room, it was very helpful. The room has new bathroom, airconditioner with no extra charge, fridge - for 30 EU the value is more than the price! Moreover, the location is not too noisy but very close to the center. Centrally located as suggested by the name, yet very quiet location. As previous reviewers mentioned, you won't need to hire a car or motorbike as everything is really close and you can get to the beach either by foot or on the bus. Our room was very big and extremely clean. We met a couple of staff members and they were all very professional and helpful. Cheers! The room was spacious, the bathrooms was quite new and the shower space was a lot bigger than most. The staff were extremely friendly and accommodating.